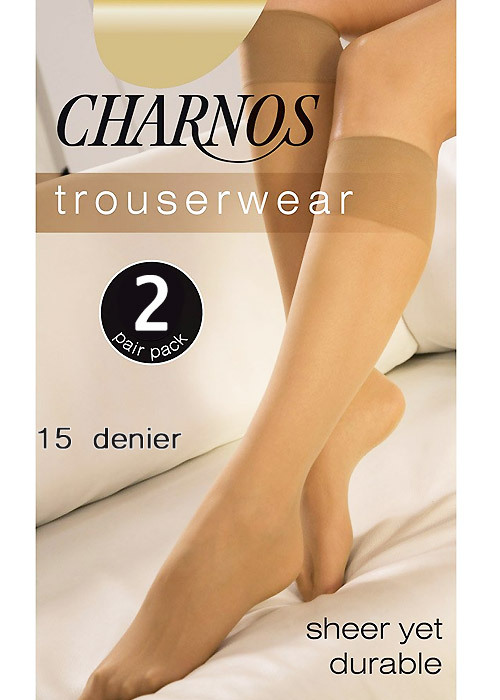 Charnos sheer knee highs are the perfect trouser wear. Worn with heels or pumps they are going to feel and look good all day long. They are one size so no issues about fit and they are made with 87% Polyamide and 13% Elastane so there is super stretch and comfort all the way. They also come with a comfort top so no digging in around the calf or knee area. With 2 pairs in each pack you will see these are great value. Rating: 5 I am a larger lady and despite these being 'one size' they fit perfectly. Great product I will be re ordering.